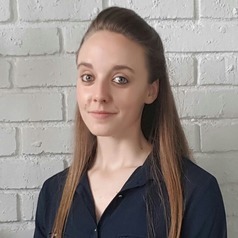 Candice Louw is a post-doctoral research fellow appointed at the College of Business and Economics in the Department of Business Management (Entrepreneurship) at the University of Johannesburg. With a background in software engineering, her research interests span a wide range of topics related to digitalisation efforts and the digital disruption, including: smartphone and web application development, technology driven entrepreneurship, e-commerce, digital security, smart infrastructure (cities) development, technology driven operations optimisation strategies and business model development, User Interface (UI) and User Experience (UX) design, as well as understanding the social aspects of Information and Communication Technologies (ICTs). Further experience includes involvement as web assistant at the African Journal of Hospitality, Tourism and Leisure (ajhtl.com) and web developer at the University of Johannesburg's Centre for Cyber Security (cybersecurity.org.za). She has also published various free, Android (clock widget) applications as a result of being a supporter of open-source software development, particularly for smartphones.